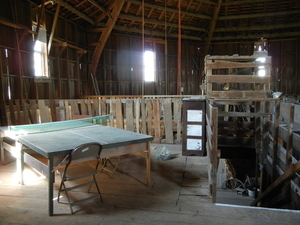 Interior of main barn area. This barn was constructed by Frank Longerbeam in 1883 for Joshua Secrest, a farmer and the owner of the property. It was built to house livestock and store hay and straw. The barn’s structure is quite unusually large, measuring 75 feet high with a diameter of 80 feet, necessary for the large size of Secrest’s farm, which was an area of 520 acres. Because of the age and uniqueness of this structure, it was placed on the National Register of Historic Places in 1974. Built in 1883. Restored by Rich Tyler. 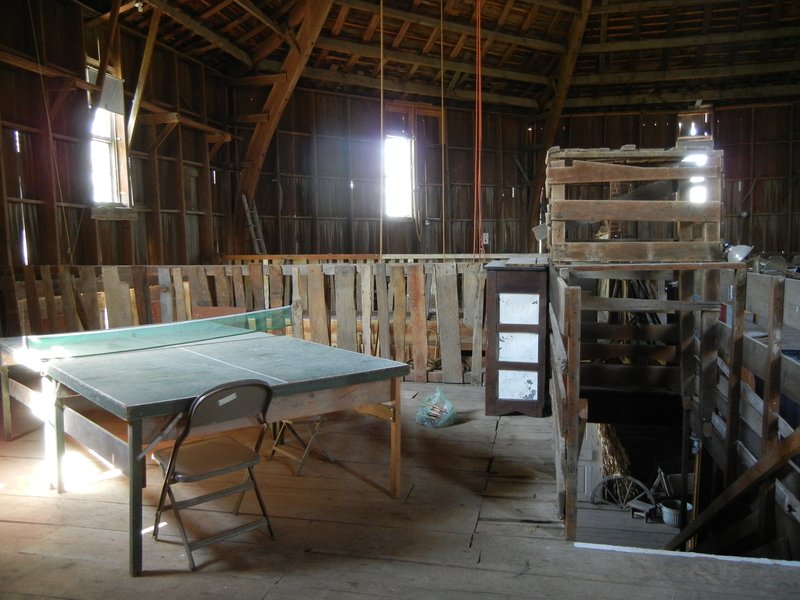 McCray, Linzee Kull, “Secrest Octagonal Barn, 2012,” Iowa City Public Library, accessed April 23, 2019, http://history.icpl.org/items/show/678.